This lovely cheese serving set is the ideal gift both for a Birthday or special occasion. With your words deeply engraved around the curve of the board, this is a personalised gift that will last years to come. Simply state the words you would like to personalise your board with by typing it in the box provided. 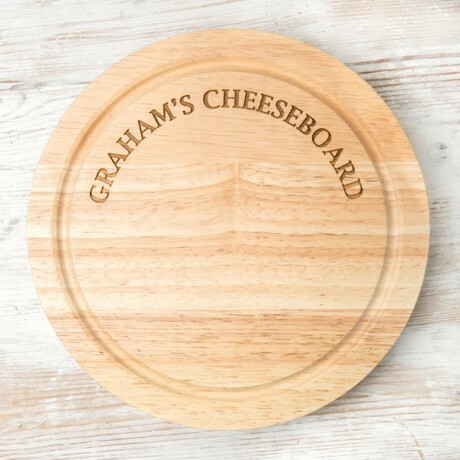 If you have chosen to write a message on the back of the board, please make sure you have chosen 'Yes Please (+ £2.95)' under the option 'Engrave Message on Back of board?' 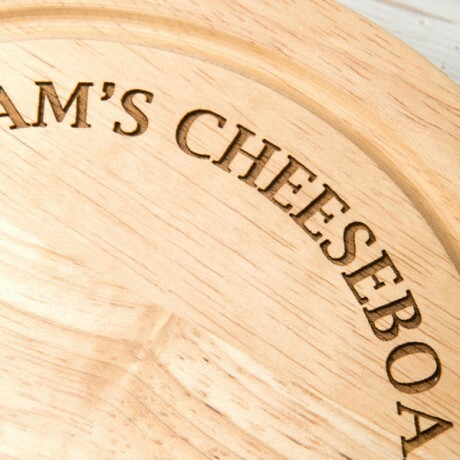 - Otherwise the back of the board will not be engraved. 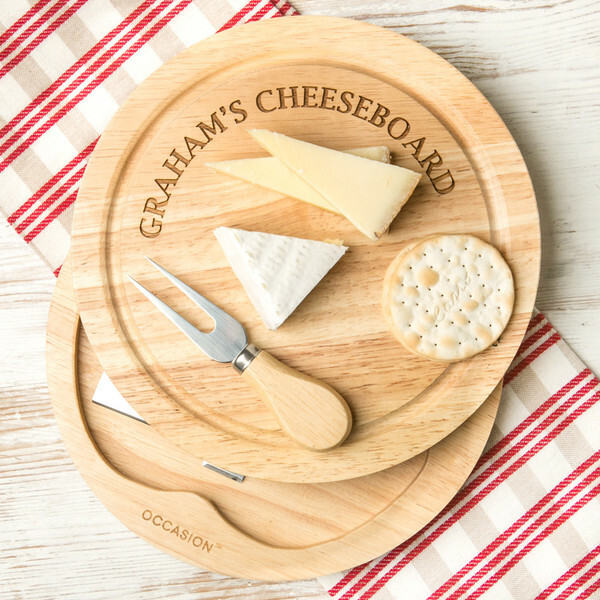 The cutting surface lid twists to open, revealing a storage compartment and three cheese cutlery. 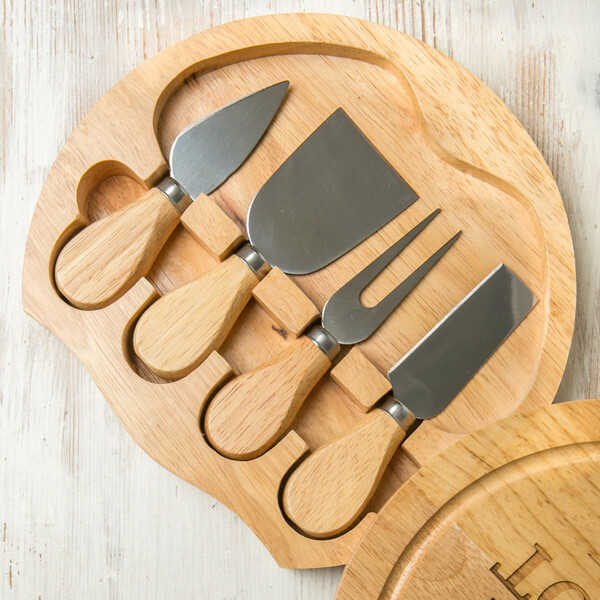 The pieces include a tapered cheese knife with a pointed tip, a tapered cutting slice with a square tip and a two-prong cheese fork. All of the tools feature high quality, corrosion-resistant stainless steel blades and smooth, easy-to-grip ergonomic rubber wood handles. The storage compartment features deep notches cut to fit each individual tool, so that the contents stay securely in place when the set is closed. 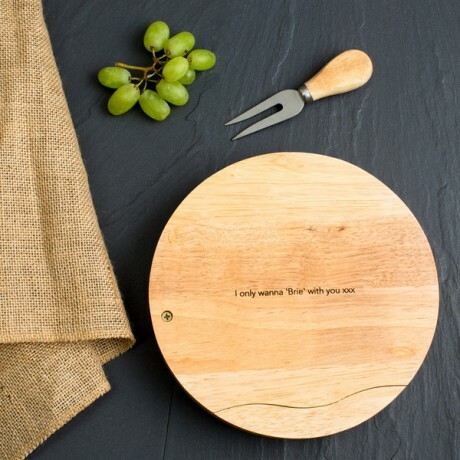 Popular for unique and personal gifts, give something they will love year after year.